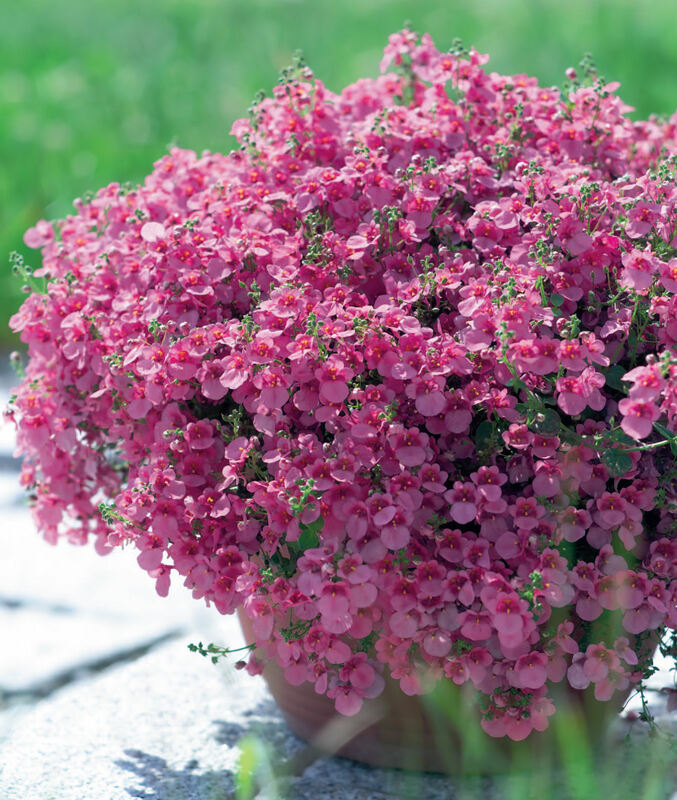 Diascia is a free flowering trailing plant that produces large numbers of bright, shell-like flowers. This early flowering variety comes in a large range of colours. Excellent in hanging baskets, containers, and borders. 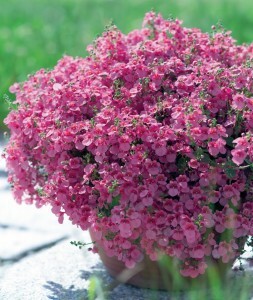 Diascia Light Pink is a free flowering trailer that produces large numbers of bright shell-like flowers. The blooms are light pink with a dark throat. Likes cool weather. Excellent in baskets, containers and borders. 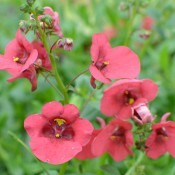 Diascia Red Flag is a free flowering plant that produces large numbers of bright shell-like flowers. Its blooms are red with a dark red throat. Excellent in baskets, containers and borders. 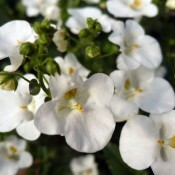 Diascia Snow Drift is a free flowering plant that produces large numbers of pure white shell-like flowers. 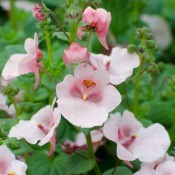 Because it is compact in growth habit, it is excellent in baskets, containers and borders. 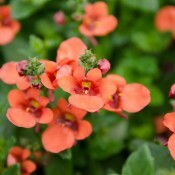 Diascia Sunrise is a free flowering plant that produces large numbers of bright salmon orange flowers. Excellent summer performance in baskets, containers and borders.